Who will be the actual agent for my listing? In all likelihood, the broker name listed on MLS and the signage used will not say Texas Discount Realty. We have worked hard to become a leader in the brokerage industry and its trends. As such, all of the agents affiliated with Texas Discount Realty are independent contractors with freedom and flexibility to brand themselves and stay competitive. Can I pay less than 3% to a Buyer's Agent? While there is no “standard commission rate”, the prevailing market rate on about 99% of all listings is 3%. Texas Discount Realty is supportive of buyer-agents and does not want to give any Realtor an excuse to not show your listing to one of their buyers. However, Texas Discount Realty does offer an unusual incentive: if you sell to an unrepresented buyer, you do not have to pay the 3% commission on the sale. How long is my listing agreement? Our listing agreements are typically active for 6 months, but you may cancel it at any time as long as the property is not under contract and/or there are no active negotiations. How long has Texas Discount Realty been in business? Texas Discount Realty was founded in Austin, Texas, during the summer of 2000 and became active in most major Texas cities by 2001. Will my listing be negatively perceived if I list with Texas Discount Realty? Will Realtors show my home? Texas Discount Realty has listed and sold thousands of homes in Texas since 2000 and has worked with and accepted offers from buyer-agents from almost every real estate company in the markets in which we work. As well, more than 80% of home buyers use the internet to find homes and then tell their agent which homes they want to see. Buyers don’t care who the listing agent is as long as they get the house they want and need. Finally, most of our agents no longer use the “Texas Discount Realty” brand name in their listings. Therefore, buyers will not know how much you paid (saved) to list your home until they see the settlement statement at closing. Someone told me it is illegal to receive a rebate? If I use Texas Discount Realty as my buyer's agent, how do I receive my rebate? 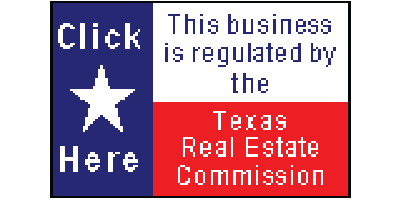 Texas Discount Realty has several ways of issuing rebates. The most common is for us to write a check after the property has closed and is funded. We can also negotiate the sales price or provide credit in the amount of the rebate to cover your closing costs on the settlement statement if the lender approves. For the latter option, we do need to know this is your preference before a contract is executed. For any additional questions, contact us.